As I look out my window while writing this post, I see snow (which will amount to about 5 inches according to local meteorologists) falling on top of what remains of the over two-feet of white stuff from the blizzard that hit our area two weeks ago. And I’m not too happy with that hack of a weather forecaster Punxsutawney Phil, either. 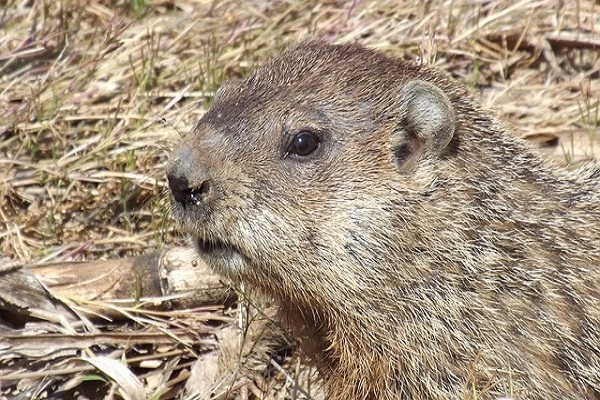 The oversized rodent was dead wrong when he said spring was on the fast track this year. Fraud. It’s cold outside. – Enough said. But above all, the thing that’s most frustrating about winter is that it’s confining. Come February every year, I develop a textbook case of cabin fever. And this year has been no exception. Fortunately, all is not lost. While spring—with its warmer temperatures—is the only cure, I have found some quick fixes to temporarily relieve the symptoms of winter-induced cabin fever. Find a really, really good book to read. – A REAL book. One made of paper and ink with pages you can touch and turn. Work out. – Kick starting those endorphins and getting your blood pumping can do wonders for your attitude and ability to overcome the doldrums of winter. Tease your brain. – Challenge your mind with a crossword puzzle, Sudoku, or a solo game of Boggle. Don’t have any at home or in the office? Don’t sweat it—there are online versions of all of them. Indulge in a guilty pleasure. – One of mine is watching episodes of Gilligan’s Island on DVD. Plan your summer vacation. – Escape reality for a while by thinking ahead to warmer days and fun-filled nights. So you see, even though that misguided groundhog got it all wrong this year and there’s no magical spell to fast-forward to April, you can find ways to make winter a wee bit more tolerable. Embrace the little things that can take the edge off of your cabin fever, think spring, and hang in there!